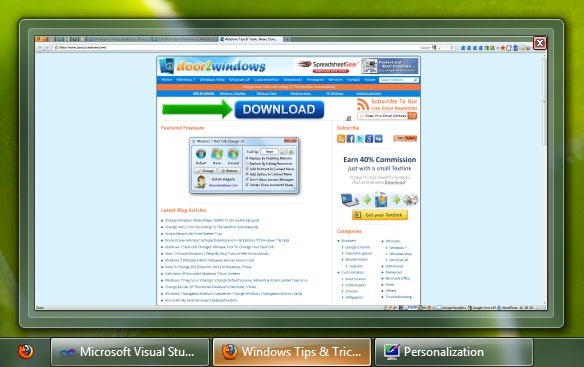 Taskbar Thumbnail Customizer is a freeware for Windows 7. 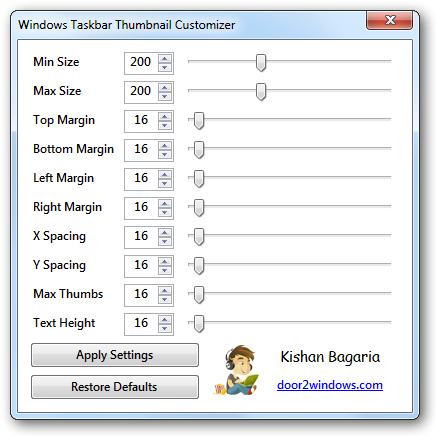 This app allows you to customize the size, margin, spacing and text height of Windows 7 taskbar thumbnails. After setting your favorite options you have to click on Apply Setting and Explorer will restarted automatically. If you don’t want any more those settings just click on Restore Defaults.